Security shutters are a decorative shutter with the added benefit of security. They are manufactured from aluminium and have adjustable louvres with reinforced steel rods running through the core of each louvre that extends into the aluminium stiles. The shutters consist of a patented key-locking system with stainless steel bolts that lock up and down, which makes them very secure. Criminals are opportunistic, which means that homes with less security are more likely to be burgled. Most South African homes have installed traditional forms of security like, burglar bars, alarm systems, security lights and CCTV systems. Security shutters, on the other hand, are a modern safety measure that adds value beyond security. Here are some other advantages of installing security shutters. Our homes are not known for providing adequate protection from the elements. They provide protection from the heat and they keep the cold out and act as a means of insulation. The louvres can be adjusted to welcome air in when it’s needed on a hot day and when completely shut, they can keep the cold out. Our shutters are also finished off to make them UV and fade resistant. This protective finish makes security shutters durable enough to last in unforgiving coastal conditions. They control the amount of light that comes into a room at any time. Privacy can also be adjusted as and when it’s needed, which makes security shutters ideal for bathrooms and bedrooms alike. Security shutters aren’t just functional though. They also have aesthetic appeal that far exceed the look of burglar bars and security gates. They add a classic elegance to a home that enriches its atmosphere. The different colours allow security shutters to mix seamlessly with both modern and antique finishes. Most of them are made to measure so they can also be installed over window and door frames to create the illusion of space. They don’t only need to be installed as a covering for a window or door. They can also be used as a room divider or to enclose a terrace and patio. 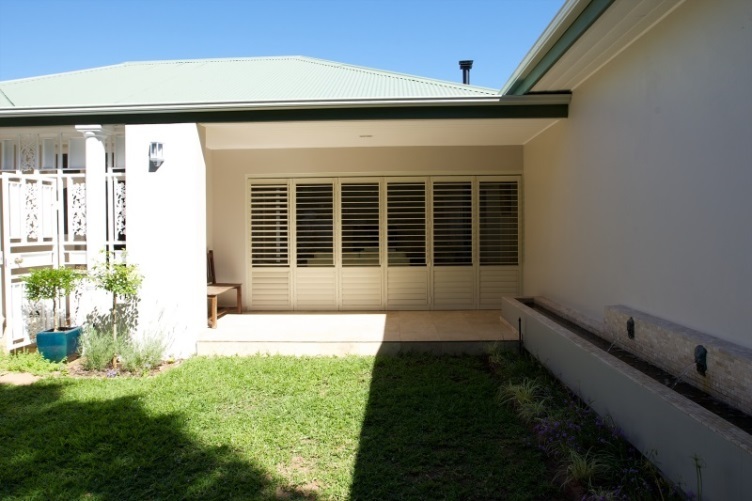 Security shutters add value to your home practically and aesthetically. They provide an extra barrier of protection, as well as insulation for your home while still allowing for light and visibility control. This entry was posted in Security Shutters and tagged security shutter, Security Shutters.